The Chess Club and Scholastic Center of Saint Louis never seems to rest. 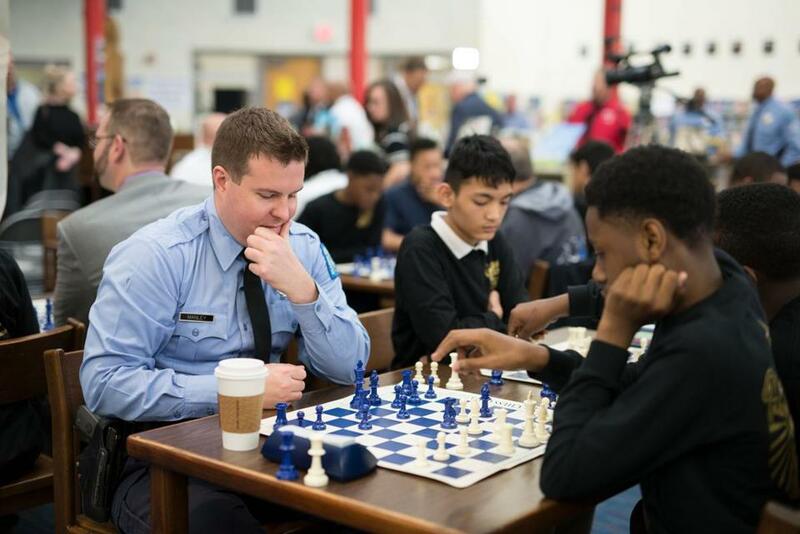 Along with its numerous educational programs, relentless support of top-flight chess through the Grand Chess Tour and the US Championships, support of chess in the Boy Scouts, and the World Chess Hall of Fame, we learned of an exciting new program the center cosponsors with the Saint Louis Metropolitan Police Department, the St. Louis CHESS (Cops Helping Enhance Student Skills) program. It helps prepare St. Louis police officers to visit local schools and teach chess. In a brief phone interview, Tony Rich, executive director of the club, said that so far, eight officers have passed the training course and are already teaching. The club hopes for more officers to get involved, to help supplement the club’s existing educational programs. Officers volunteer at least one hour a week to the program, and they teach in the areas where they patrol. Coming events: March 17, Waltham 960 Chess, Waltham CC, www.WalthamcChessClub.org ; March 18, Boylston Shamrock Open, www.BoylstonChess.org. Answer to today’s problem: 1.Nd7! wins. 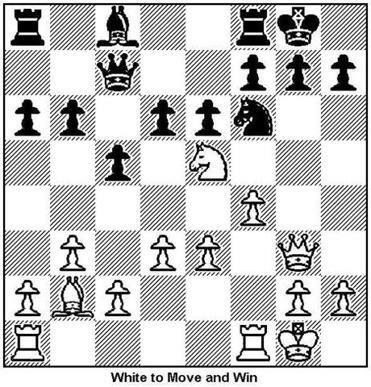 If 1…Bxd7 or 1...Qxd7 2.Bxf6 g6 3.Qg5 and Black will have to give up his queen by 3…Qd8 to prevent mate via 4.Qh6. 1…Nh6 fails to 2.Nf6+! Nxf6 3.Bxf6 g6 4.Qg5 and again Qd8 is the only defense to Qh6. A previous version of this article had an incorrect name for the Chess Club and Scholastic Center of Saint Louis. The Globe regrets the error.